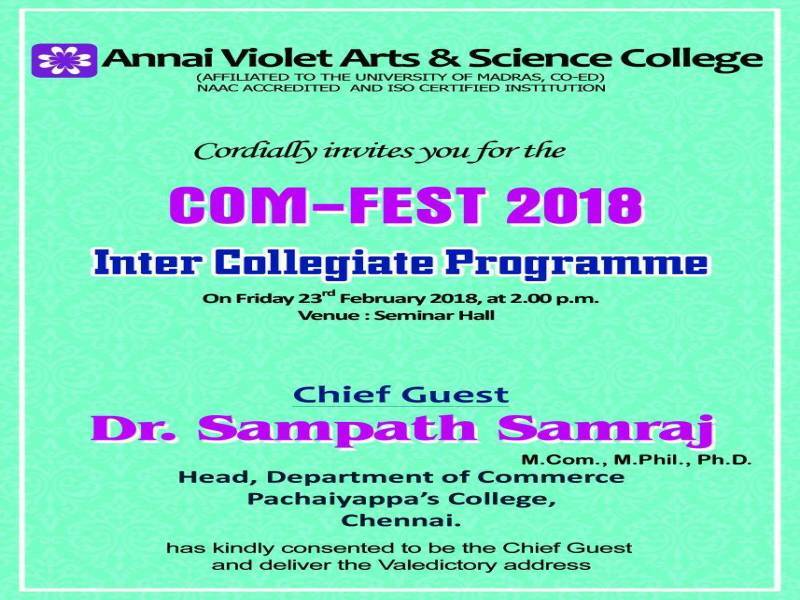 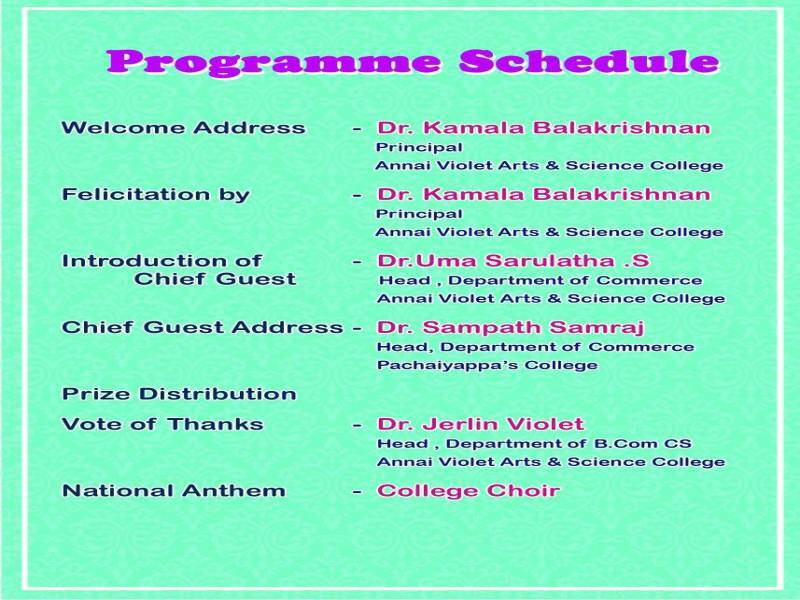 DR.SAMPATH SAMRAJ-HOD-DEPARTMENT OF COMMRCE,PACHAIYAPPA’S GOVT.COLLEGE gave the valedictory address. 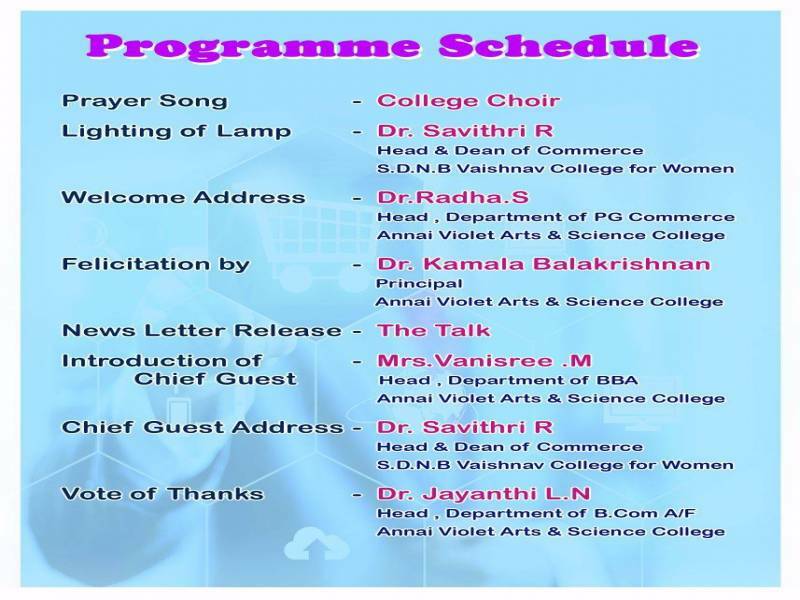 NEWSLETTER “THE TALK” of Commerce and Management departments was released in that session. 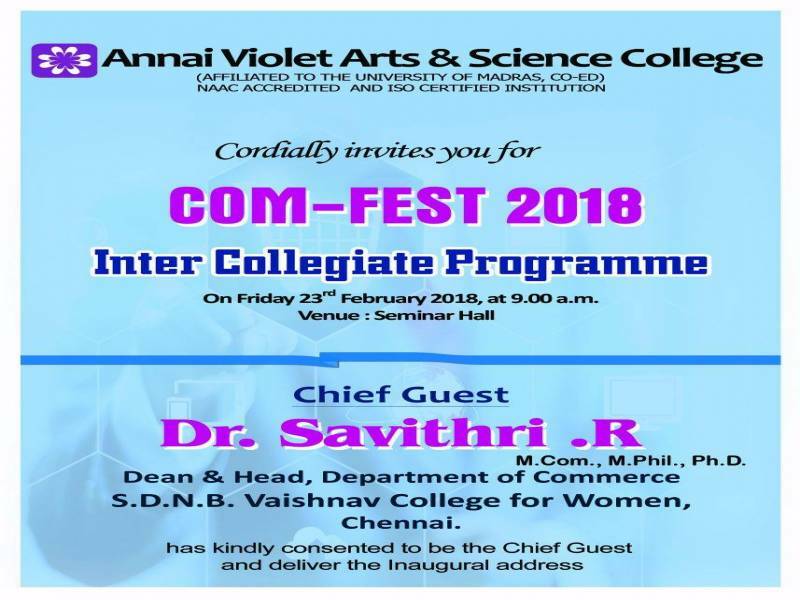 In this COMFEST around 86 students from 14 colleges participated in various events.